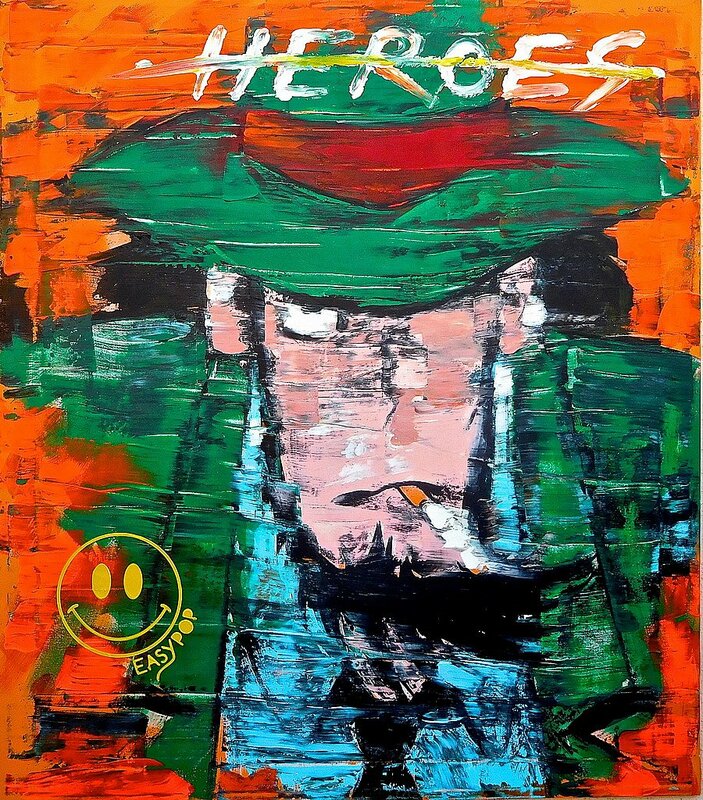 “HEROES” series. Acrylic on canvas cm. 80x70. Here's how I wanted to represent the heroes who populated the fantasies of an entire generation that, now grown up, is facing contemporary living… dreams that have turned into intolerance? Or what? Paradoxes, references and tributes to art history produce multiple interpretations that conceal questions and reflections.